Aggie Eco Reps at Stream Clean! 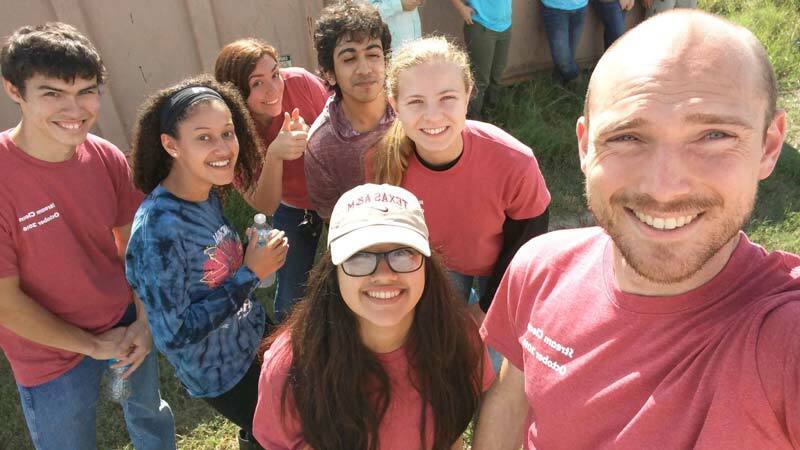 Members of the Aggie Eco Reps student organization spent their Saturday morning volunteering with cleaning up trash through the Stream Clean program. What a great way to start the weekend! These intrepid volunteers left no stone unturned, no stream uncrossed, and shied away from no thorny bush in the pursuit of trash littered along white creek on campus. 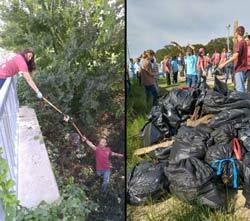 When they emerged from the brush two hours later, we had collected three bags of trash. Luckily, we found no snakes (always a plus!). What was the craziest found during Stream Clean? A couch cushion, sopping wet and properly marinated in rancid water. The Aggie Eco Reps had a great time contributing their Saturday morning to beautifying TAMU and assisting with preserving the environment.